Flagship smartphones of 2017 are underway, and almost all the top brands have come up with their first string of high-specced phones for the year. Manufacturers such as LG, Huawei, Blackberry, etc. have unveiled their phones at the Mobile World Congress event in February, while vendors such as Samsung and Xiaomi announced their phones only recently due to the unavailability of Snapdragon 835 chipset. 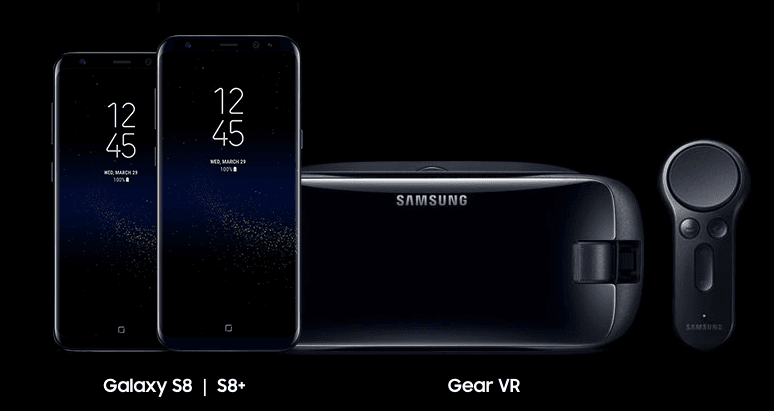 Samsung recently announced the Galaxy S8 and S8+ in India for Rs. 57,900 and Rs. 64,900 respectively. Xiaomi, on the other hand, is yet to launch the phone in India, but surely the phone will be priced below Rs. 30,000 price bracket and speculations are rife that Xiaomi is looking to price it as low as Rs. 25,999 for the base variant, which is less than half the price of the Galaxy S8. Both the smartphones being touted as flagship devices from the respective vendors, they pack top of the line hardware and have very similar innards as well. Like mentioned earlier, the launch of both the phones had been delayed due to the production issues of Snapdragon 835 SoC. However, Samsung disappointed everyone yet again by launching the Exynos 8895 variant of the phone in India. It is equally powerful as the Snapdragon 835 variant, though. The Galaxy S8 and S8+ pack just 4GB of RAM, while the Mi 6 has 6GB of RAM even on the base variant. The base storage on both the phones is 64GB, and they support storage expansion via microSD card. In terms of design, the Galaxy S8 series looks more futuristic than the Xiaomi Mi 6 as it has the same, old style smartphone design. That said, the Silver variant of the Mi 6 looks stunning, though. The major letdown with the Galaxy S8 series is the single camera and that too the sensor is same as the one seen on Galaxy S7 and S7 Edge. However, Samsung promises better image processing and several international blogs say the same. The Xiaomi Mi 6 comes with two 12MP sensors at the rear with one sensor acting as the wide-angle lens, and the other as the telephoto lens similar to that of Apple iPhone 7 Plus. Samsung’s phone has an advantage in the software department as it comes with the Bixby personal assistant, which more or less functions same as the Google Assistant for now. The assistant has the capability to scan an object from an image and display all the information related to it including a purchase option (if any) from various e-commerce sites. The Mi 6 doesn’t come with any software tweaks, whatsoever, apart from the necessary MIUI customizations. The Galaxy S8 series in IP68 certified, but the Mi 6 is just splash proof, thus giving the S8 an edge over the Mi 6. All the connectivity options are present on both the phones such as Wi-Fi, Bluetooth, 4G VoLTE, NFC, GPS, and USB Type-C port. The Samsung Galaxy S8 has a 3,000mAh battery, whereas a 3,500mAh battery backs the S8+. The Xiaomi Mi 6, on the other hand, is armed with a 3,350mAh battery. Both the phones come with support for Qualcomm’s QuickCharge 4.0, promising full charge of the phone in under 90 minutes. On paper, the Xiaomi Mi 6 is close to the Samsung Galaxy S8 series. In fact, it has an advantage in the camera department but loses to the Samsung’s Infinity display and futuristic design. Hardware on both the phone remains almost similar with Mi 6 having an advantage as it is expected to come with Snapdragon 835 on board to India as well. It’s interesting to see how Xiaomi prices its flagship device. If they keep the phone below Rs. 30,000 price bracket or even the rumoured price, it will be a deal breaker for many. Also, Xiaomi should bring the powerful variant of the phone. If the reports are believed to be true, Xiaomi will launch a new Plus variant of the phone in next two months, that will directly compete against the Galaxy S8 even in the display segment as well. The Xiaomi Mi 6 is a great deal for budget lovers and offers all the flagship specifications.